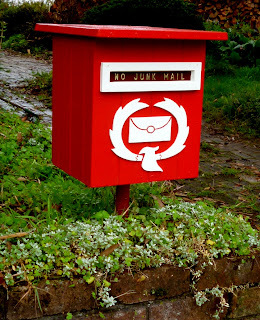 Today I finally completed a letterbox which I have been planning to make for several years now. 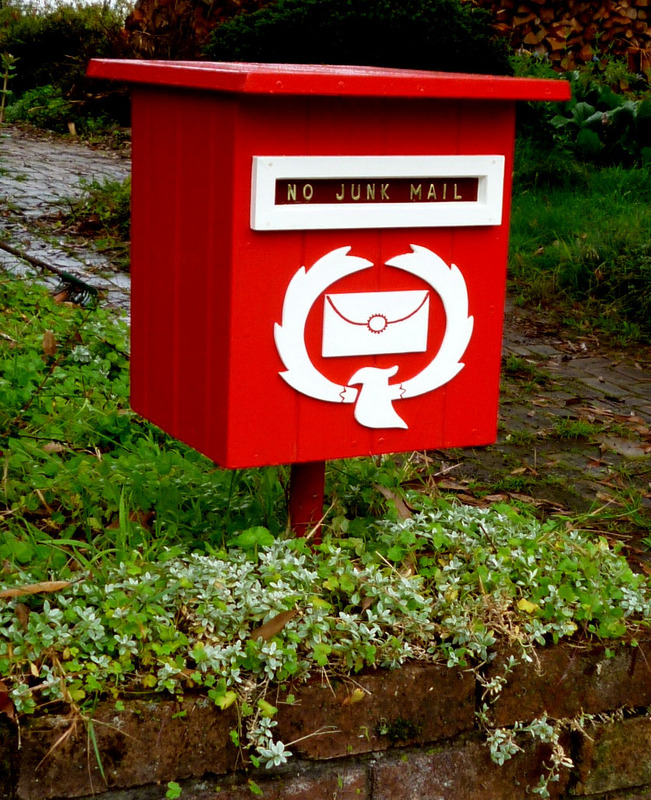 Having worked as a postie in a past life, I've been thoroughly ashamed of the last few letterboxes which we've had: tinny, ugly little things with slots which were very mean in their dimensions, and incapable of containing anything larger than a standard envelope. A tree branch fell on our last one too (thanks to our electricity company pruning branches from their lines), and ever since then it hasn't been quite watertight. Anyway, I've always been wary of making a nice letterbox, given the tendency for delinquents to destroy or deface such things. I'm still wary! But I did it anyway. I love this design, which is the template for the letterboxes which appear throughout the islands of The Legend of Zelda: The Wind Waker, a game that I am ridiculously enamoured with. As my nephew has my copy of Wind Waker at the moment I have to thank Nintendo Papercraft for the details of the design. Just making it made me happy. Putting it out on the street made me nervous. Betting is now on to guess just how long it will survive. I did alter the design a little... Plus Hyrule isn't really too plagued with junk mail, but I'm afraid our world is a little different. I've also got the date for my next stall at the Old Bus Depot Markets in Canberra: Sunday March 11th. WOW David that looks fantastic!! !